A born and raise SanPedrana Jennie Staines is well known in San Pedro Ambergris for her excellent food At Elvi's Kitchen. 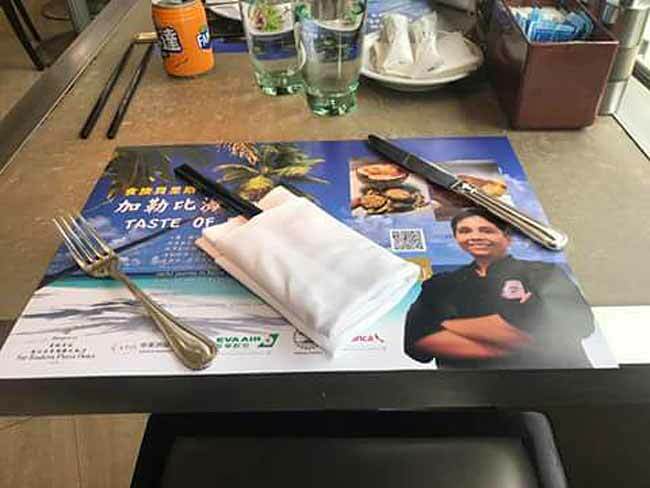 Chef Jennie Staines of Elvi’s Kitchen in San Pedro, Ambergris Caye, Belize, is currently in Taiwan presenting her cuisine from Belize and Central America. 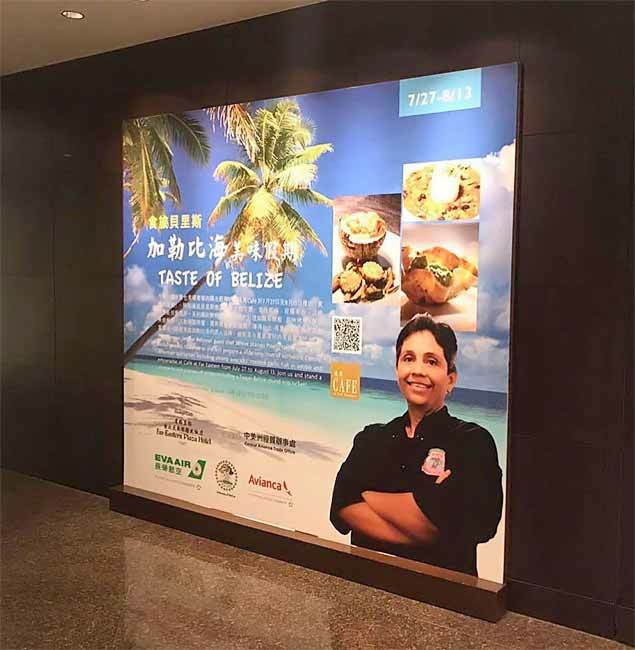 She is participating in the Taste of Belize culinary event taking place at the Shangri-La Hotel Taiwan. Belize cuisine is gracing the tables at The Cafe Restaurant of Shangri La Far Eastern Plaza Hotel in Taipei from 27th July through 13th August 2017. 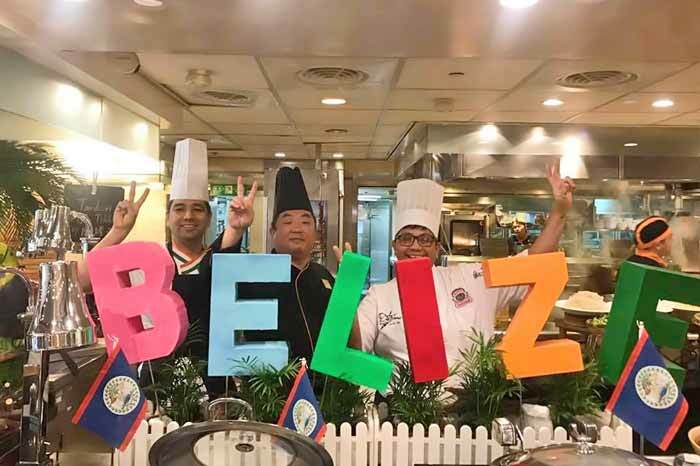 The Event, the Taste of Belize Cuisine Festival, is presented by the Embassy of Belize in Taiwan in partnership with the Central American Trade Office (CATO) and the Hotel. 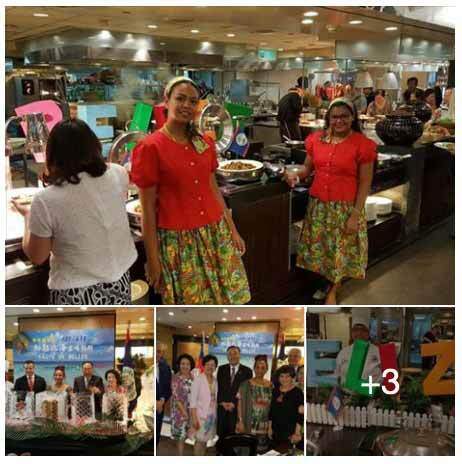 The Taste of Belize opened at lunch time on July 27th to a packed restaurant of specially invited guests from the Diplomatic Corp, Ministry of Foreign Affairs (MOFA) Taiwan, public and private sector entities, and regular customers. Vice Foreign Minister H. E. Jose Maria Liu, Shangri La's Resident Manager Alexander Paul, and Embassy of Belize's Ambassador H.E. Diane Haylock spoke at the ceremony and broke ice along with CATO's Director H.E. Ingrid Hsing, and Belize's own celebrated Chef Jennie Staines of Elvi's Kitchen on San Pedro Ambergris Caye. Chef Jennie flew into Taiwan on July 24, 2017, and immediately went to work along with the Shangri La team of chefs in getting the special Belize menu items ready. The restaurant's lunch and dinner time buffet will feature the Belize Cuisine section. In her remarks, Ambassador Haylock pointed out that a key objective of the Cuisine Festival was to further the Embassy’s mission of making Belize better known to Taiwanese. Taiwan and Belize have been diplomatic allies since October 1989. A special feature of the Festival is a raffle to win a round trip ticket from Taiwan to Belize, made possible through sponsorship from Taiwan's EVA Airlines and Latin America's Avianca Airlines. All customers during the Cuisine Festival will receive a raffle ticket. The raffle will be drawn on the 14th August. A shorter version of the Taste of Belize Cuisine Festival will also be featured at Mega50 Restaurant in New Taipei City from the 1st to 3rd August, 2017. Chef Jennie will also be there. She returns to Belize on the 6th August. From all accounts on day one, Taste of Belize Cuisine Festival is off to a scrumptious start.